The most stunning home in the exclusive guard-gated community of gables estates. Premiere 255 ft of water frontage w/ 160 ft dock situated on the widest part of the canal just few a seconds from the bay w/ direct ocean access. Extraordinary 2017 home w/ fabulous views of garden & waterway will exceed your expectations of a unique lifestyle allowing natural light to radiates throughout every room. Features: impressive master suite w/ sitting area overlooking the water & enormous marble bathroom spa style w/ outdoor summer shower, 14 seats estate of the art theater room w/ optic ceiling lighting, game room w/ wet bar & wine cellar. Outdoor entertainment area w/ summer kitchen & teppanaki table, covered terraces, rooftop deck, and infinity edgeheated pool w/ fire bowls & fountains. Distinguished by its elevated vantage point, inlaid marble, soaring ceilings & polished mahogany, this gorgeous mansion is the very embodiment of luxury. Expansive interiors, sun-flooded production-sized kitchen, outfitted w/top-tier appliances. Matching bookend fireplaces anchor the east & west wings of the first floor. A beautiful wood-lined library, media room, family room, formal & casual dining rooms & guest suite also inhabit this floor. All bedrooms are en suite w/walk-in closets. Master suite is a serene sanctuary complete w/anteroom, study, his & hers closets, lavish bath, water views & vast balcony that spans the length of the home. Sprawling bonus space, 2 laundries, elevator, 4-car garage & sonos system, generator, pool, 180' waterfront & 20,000 lb boatlift. No bridges to bay. Magnificent two story penthouse in the heart of coconut grove. Originally decorated by international renowned interior designer & featured in architectural digest. This chic and elegant ph offers the best unobstructed views of miami. An elegant 2,700sf zen rooftop with infinity edge pool, full service kitchen and beautiful wall stone with flowing waterfalls. A must see to truly appreciate the quality of this build. Designed with the art collector in mind, this unique two-story modern estate spans a generous 9,855 sqft and includes 9 bedrooms and 9. 5 bathrooms. Laid out to easily communicate with the spacious guest house/in-law suite, summer kitchen and outdoor entertainment area. Ideal for a family or a multi-generational family. Master suite boasts over-sized his/her closets and private sundeck. Outfitted with state-of-the-art smart-home technology with 20 security cameras, 24-foot ceilings, floor-to-ceiling impact windows, stainless steel state-of-the-art wolf and sub-zero appliances, marble/wood flooring throughout, 7 seat home theater, 432 bottle wine cooler, private elevator, 150kw generator and a heated infinity edge pool sitting on an impeccably landscaped 37,897 sqft lot. Spectacular moving-in-ready estate, located in desirable banyan trail! This gorgeous estate features 5 bedrooms + office/den and 5 full bathrooms, plus an amazing guest house! Interior design by world renowned interior designer pepe calderin which includes a spectacular onyx wall, magnificent snaidero kitchen that blends into the family room, huge master bedroom with a luxurious master bathroom, oversized walk in closets, dining area,exceptional craftsmanship,office, marble floors, complete automatization system and much more! Walk outside into a secluded pool area surrounded by lush landscaping, koi pond and barbecue area. The basketball court and green areas are awaiting for the young ones to enjoy!this estate is perfect for both relaxing with family or entertaining. This is a must see! 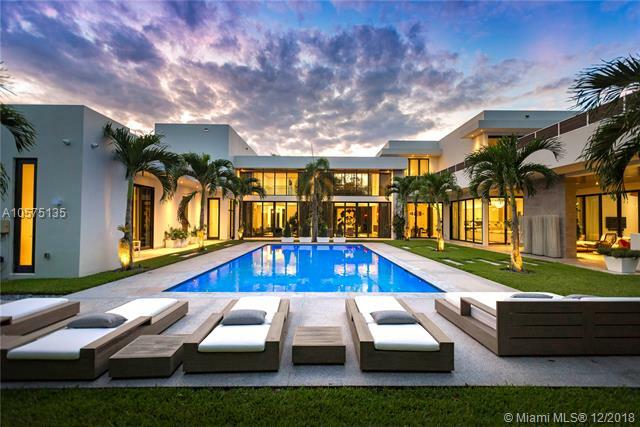 Live in prestigious fairhaven estates in coveted coconut grove in this one-of-a-kind modern masterpiece. An oolite stone gate with brazilian ipe wood greets you as you enter this contemporary waterfront estate boasting exceptional design elements, walls of glass overlooking the water, natural elements throughout and multiple living spaces perfect for indoor-outdoor living. This fully renovated residence offers 5 bedrooms, 5. 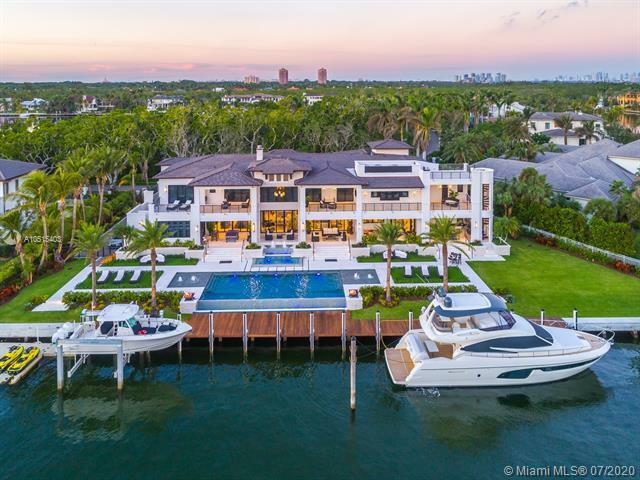 5 bathrooms, 5,260 square feet with 50 of waterfrontage a floating staircase, gourmet kitchen with sub-zero and wolf appliances, 3 balconies, a 2-car garage, smart home-nest & lutron features and a stunning pool and hot tub. Park your yacht in your private dock and experience direct ocean access with no bridges to bay.